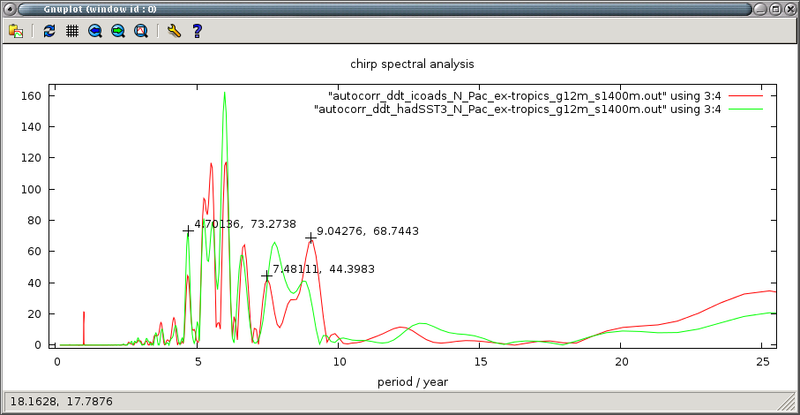 Phil Jones 2012 video: Talks about adjusting SST data up ~.3-.5C after WWII | Watts Up With That? Phil Jones of Climategate fame made some extraordinary remarks that seem to have been overlooked until now. This was a presentation for Help Rescue The Planet’s St George’s House Consultations in Windsor, 2012. Jones remarks of interest start at 5:30. He says average sea and land temperatures “can’t really differ that much as a global average”. Got a specific moment in time to watch? Not really interested in listening to Jones for 53 minutes. Didn’t see any charts or graphs. 1) has anyone actually measured the cooling over the time that the water is collected to when it is measured? I suspect it is negligible. In any case cooling or warming (as the case may be) will be dependent on air temperature which, in turn will be close to that of the sea.I don’t think they even know whether the collected water cools or warms prior to measurement. 2) Why are the “adjustments” always upwards (unless they are before 1960, when they are down? No scientific basis, just to “hide the decline”. Agreed, the land temperatures should rather have been adjusted down where there is an UHI effect! If you are going to make adjustments. “hide the decline” seems to be deeply imbedded in the culture of the climate obssesed community. Called aging. If you’re lucky, it will happen to you too. He goes on to talk about how you can take every 5th station, look at urban and rural stations separately, or even remove large countries from the dataset, and get the same trend lines. This, he says, proves the reliability of the data as well as the absence of any significant UHI effect. That kind of dishonesty really gets on my nerves. This is not raw station data. It’s adjusted data. It’s been homogenized to the point where it is no longer useful for such comparisons. That’s about as fair of a test as an infomercial demonstration. Phil Jones has written several good books on historic climate and is somewhat more sceptical than some might think. In recent years the Met Office has also moved away from their notion of a steady climate until mans influence from 1900, to one in which natural variability is somewhat more centre stage. The biggest Hockey Stick in the CET series from 1659 (and there are several) is the period noted in the article and not the modern period. I see he begins with ….. “didn’t get people harassing us” with FOI’s” !!!!! 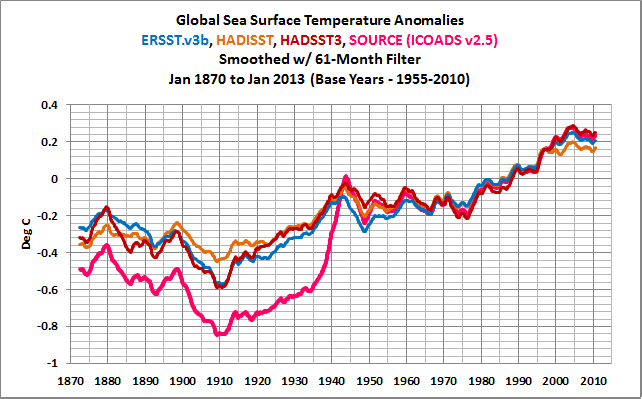 What else would you expect, adjusting the sea surface temperatures to fit the CAGW excuse. Actually, this is a pretty clear discontinuity, although he does a poor job describing it and the basis for the size of the adjustment is not really well documented-as you might expect. I shan’t be wasting my bandwidth on Dr. Jones. Don’t trust Jones because he is apparently worried, worried by climate funding cuts if he fails. For this member of ‘the Team’ as more than proved that what ever he says it likely will be BS, and for that his only himself to blame . Worried?? I thought they were worried because of the “catastrophic” warming! The entire bunch belongs behind bars. Damn. So THAT’S why the USHCN data diverges from GHCN. It wasn’t the US “hump” that was out of synch with the rest of the world, it was the RoW hump that was being “adjusted” away. And I’ll bet that microsite/equipment issues (i.e., CRS) are part of the picture, too. They’re doing the same shenanigans with SST as they did with homogenization vis-a-vis microsite: They are adjusting the GOOD to match the BAD rather than the other way ’round. With all too predictable results. I believe the word you are looking for is not criminals by Crimatologists. Disgusting that he still called upon to give talks/lectures! Hmm. I say let’s stay away from the toss-’em-in-the-clink bit. Very recently, two individuals were actually looking for ways to have me prosecuted for stating what I think to be the facts (and I am a lukewarmer, at that). Dead-catting the lot of them would be more than sufficient for all practical purposes. Yes Steve, unlike you we dont care what the result is. We simply want good science. We dont for example favor making up volcanic models that cant even model recent eruptions in order to pass of all prior climatic events as being caused by volcanoes. Gotta love the quotes from Phil Jones. Real scientists don’t “worry” about the direction of data, real scientists don’t “worry” about what their branch community “thinks” of them so they must fudge the data. Yes, we are just chasing the adjustments and they call those adjustments “global warming”. The question is did something actually happen from 1944 to 1950 in which temperatures actually fell by a large amount over that period. Is it, in fact, real? It might look out of place, but that does not mean it is not real. Something did happen in my local temperature records (which haven’t been mucked around by Phil Jones or James Hansen or Tom Karl). Temperature fell by 3.0C on a moving average basis over that period. I would point out that “worried” doesn’t mean that we’ll see anyone recanting or calling off the next COP meeting. “Worried” means scrambling like mad looking for ANY excuse other than an earlier miscalculation of climate sensitivity. “Worried” means finding heat in the deep oceans, blaming on non-existent volcanoes, or using a statistical technique to “find” an upward trend even if it is insignificant. They’re not done yet. For the public, that means a lot more graphs that stop in 2010. It means more emphasis on a quiet sun and lack of El Nino, despite assuring us in 1998 that a monster El Nino and an active sun were minor factors in global temperature. Clearly they’re worried. If there’s no warming in 2015 look for more excuses about how Antarctic sea ice, a consequence of global warming, is masking warmer surface waters, or how someone in South America left his freezer open all year and created a cold spot. One way or another there will be plenty of excuses and shrill warnings no matter how long warming remains absent. Now that most of the ground weather stations are urban or at airports making any present UHI a negligible 0.01C we will see if the upward trend continues as before when this pause ends. He explains the need to refer to log books to identify how the SST was measured. Trouble is, when Hadley do the adjusting they actually _invert_ about 30% of what the written logs indicate for measurement method when they find the proportion of bucket vs engine intake does not match their “expected” statistical average for a particular grid cell. Correction for the change in SST sample method from buckets to subsurface sensors is the reason he gives. So they are _cooling_ the later data , not warming it up. The point of all this , as always to make the data fit the model. Without the adjustments the would be a much more linear rise starting way before when it “should”, and late 19th c. would be too warm, with a strong cooling towards early 20th c.
So what the adjustments do is to remove about 2/3 of the variation from early data (ie flatten it) then drop the whole post war period by about 0.5C to leave the overall pattern closer to something that can be regressed against CO2. 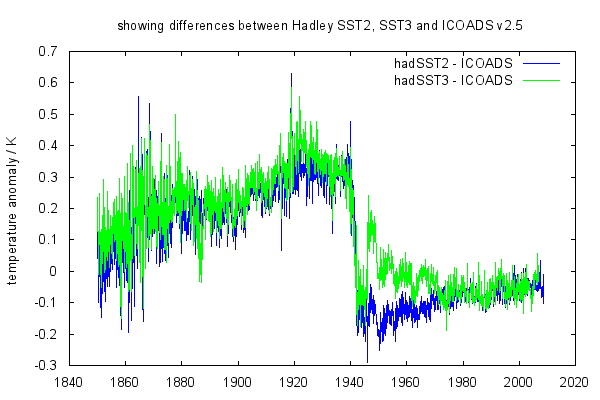 The original HadSST2 “correction” (Folland’s Folly) was a crude -0.5C step in 1946. This was blatantly wrong physically unrealistic and was strongly criticised by Steve McIntyre. As a result it got reworked as “right for the wrong reason” and the same adjustment was made to slide in over 20 years instead of the step change. The new logic is what requires ignoring the specific entries in the ships logs stating the sampling method to selectively apply “corrections” where they are needed to achieve “right for the wrong reason” reproduction of the previous 0.5 step in the overall series. So the big picture remains the same and no one has to say “oops” we mislead everyone with a silly adjustment and no one has to start changing the models they’ve spent so long trying to “tune” to the existing record. ….Clearly they’re worried. If there’s no warming in 2015 look for more excuses about how Antarctic sea ice, a consequence of global warming, is masking warmer surface waters, or how someone in South America left his freezer open all year and created a cold spot. One way or another there will be plenty of excuses and shrill warnings no matter how long warming remains absent. If a mile high glacier is sitting on Chicago they will claim it is because of CAGW. The other little problem with Hadley SST is that it removes a strong 9.05 year peak that is witness to a notable lunar effect on climate. This is the 9.1 +/-0.1 that N. Scafetta finds and demonstrates to be of lunar origin and was recently reported in the “decadal variations” of land data by the BEST team. Thanks for the link. I was vaguely aware of the bogus “Pearl Harbor” adjustment to sea surface temps, but hadn’t read up on it. He says average sea and land temperatures “can’t really differ that much as a global average”. HOLD THE PHONE!. Why Not? Why cannot the Land be the natural radiator of the planet? Or the Oceans? If the Earth had most of it’s land in the tropics and the oceans mostly in the temperate and polar zones, would we expect the average temperature of land and ocean to be the same? Hardly. Yet, we seem to have the opposite, most land in the Temperate and polar regions, and water makes up more than it’s share of the tropics. Maybe I’ve slipped a cog, but I think that assumption / theory needs some explicit proof before it is used to adjust anything. Some adjustments around that time concerned bucket and non-bucket measurements of the sea. When you turn a field of study into a normative discipline, what you have is not science. If, in fact, there is an unusual difference in temperatures between land and sea and part of that reason is due to man’s influences, than treat those differences as fact and base studies on the real temperatures, not what an alleged scientist thinks the temperatures ought to be. When you make adjustments to actual data based on normative valuation, what you have is speculative fantasy, perhaps fit for the Sunday Supplement of your local newspaper. UHI in a city is on the order of several deg C; so I suppose what you mean is the change over the entire 20th century for global average temperatures when effect of UHI is averaged over the entire globe. Is that what you mean? I’ve finished Phil’s trick of tacking on land temperatures to hide the decline. What utter nonsense! Land is dry (mostly), that’s why they call it land. Sea is wet. Hello?! Evaporation?? Cooling?? Wait a minute. I thought they have been telling us that their climate models do a good job of reproducing the real world data from the past. Now we find out that the ocean temperature data, where most of the energy is, has an uncertainty of more than half a degree! Then their models must be very very messed up, right? I live 3 miles from where I work and there is no elevation difference, flat lands. I live outside of town and it is typically 7 degrees cooler where I live than where I work in town. Small town too of just 6,000 people. The place where I work was built in the 1970’s. UHI exists, and it’s huge. You can easily find UHI of 10.0 Celsius and more. Up to 2 deg from air conditioning. UHI is todays main reason for heat waves where people live. Holw does BEST correct for a slowly increasing UHI ? -> not at all. How does BEST correct for station relocations due to UHI, with perhaps such a shematic UHI curve over time ? They split the curve into pieces and hence add all UHI. Doing nothing would have been correct. McKittrick found half of the warming due to UHI. Watts found a similar contribution. The tree ring divergence confirms this. The missing difference between ground based and tropospheric temperatures confirms this. Slower increasing ocean temperatures confirm this. How sad to spend your career of “some thirty odd years producing the global temperature record” only to end up with a total mish mash. Poor Phil Jones. He is not responsible for data recording. The underlying database is corrupted!… by lack of uniform experimental procedures. By all means, adjust away. Silk purse, sows ear anyone? I am writing to add a clarification to your excellent post at January 17, 2014 at 1:40 pm because the importance of what you say may not be clear to onlookers. (b) the effect of UHI on determinations of GASTA from temperature measurements. This is because humans inhabit a small part of the fifth of the world which is not covered by water. And cities are a small part of the regions where humans inhabit. Also, UHI increases with time because cities grow and also because urban areas encroach airports. UHI has large effect in the areas of cities but those areas are a very small part of the area of the surface of the Earth. Hence, the temperature rise from cities has little effect on GASTA and is too small to be detected if averaged over the entire surface of the planet, although this effect of UHI can be estimated by measuring the warming of all cities and their areas. Temperature measurements are mostly made in places that humans inhabit especially at airports of cities. Hence, the temperature rise from cities has large effect on determinations of GASTA because UHI is added to many of the temperature measurements from which the determinations are compiled. Jones, Gleick, Mann et. al. shamble along as wraiths of their former selves. Thank Goodness. ‘Worried”? I thought he was worried about Global Warming and its consequences, not the proof that there is no Global Warming outside of his fabricated adjustments to temperature records, always in the direction of ‘hiding the decline’. And here we thought it was Mann-made global warming. Turns out to be Jones-made global warming. Mann was just using Jones-conflicted data. I shall resist saying what I truly feel about these two … ummm…. people. However, we really need to tell everybody that the UN is participating in the scientific heist of all time. Not that the UN cares, mind you… They’ve known about this from the beginning. So Jones maintains that “naturally”, the average sea and land temperatures can’t be different??? Really, Mr. Jones?–They’re completely different regimes–the fact that the first is WATER that constantly moves around and evaporates while the second is stationary ROCK has never entered your thought processes? Why, Mr. Jones, should the two be EQUIVALENT? That’s the BIG question. And the answer is: They SHOULDN’T be equivalent. Mosher you don’t go out much do you. Get out of your hidey hole and visit the green area of your country on bike then return to the city (or is that the other way round?). Then come back and repeat your claim. We find that ecological context significantly influences the amplitude of summer daytime UHI (urban–rural temperature difference) the largest (8 °C average) observed for cities built in biomes dominated by temperate broadleaf and mixed forest. For all cities combined, ISA is the primary driver for increase in temperature explaining 70% of the total variance in LST. On a yearly average, urban areas are substantially warmer than the non-urban fringe by 2.9 °C, except for urban areas in biomes with arid and semiarid climates. It is flimsy to say the least. Don’t vary much? You take a dip in Bermuda, and the sea is tepid and like a tropical fish aquarium plus all the little fish nibbling at your legs. Bournmouth Southern England freezing 59-60 F. Or the Scilly Islands, that are warmer even still and sub tropical. Australia varies around her coast line, but it is a lot warmer than Britain. But not as warm as Bermuda. I only bathe now in swimming pools, or ones set up on popular beaches mainly to get away from you know Noah’s arks. But our danger right now is bull sharks, they can live in Fresh water too. Some invaded a Queensland golf course after floods. But admittedly unlike crocodiles or others they don’t venture on land. This guy is a joke! I’m not watching him for 53 minutes. The final proof that experienced climate change truly and really is Man made? Jones and his cronies have painted themselves into a corner, their corruption of the data base is coming back to bite their bums. The satellites and argo’s were going to prove global warming for them. Sadly they have now made it not possible for them to game the system and the internet has a full record of all they have said and done with copies of all their graphs, including some clever blink graphs showing their previous deviousness. Thus they have nowhere to go, and as the dear old earth does not seem to be on their side, the poor little dears are getting a bit worried. Put yourself in their shoes, their lifes work, the accolades, the prizes all for nought. The prospect that history will regard them as charlatans and part of a scientific scam, must weigh heavy on the mind. The UN IPCC has been the protector and guardian, but science has left the building and the political wing is back pedalling. Scapegoats will be needed, the next few years is going to be a hoot. Jones is still liberally oiling the cogs of CAGW with snake extract. He’s persistent consistent, you have to give him that. So he openly admits he adjusts data and we know he lost raw data in office moves in the mid-1990’s? Why is anyone listening to this guy? But SST’s are always cooler than land surface temperatures because water holds more heat than land. this planet rotates with respect to the sun so every 24 hours the surface warms then cools. The IPCC do not understand this salient fact of reality yet. It is heat that drives weather not temperature. a course called ‘Earth in Crisis?’ We covered evolutionary trends in climate, damming rivers, cutting down rainforests, and pollution in cities i.e Bangkok. 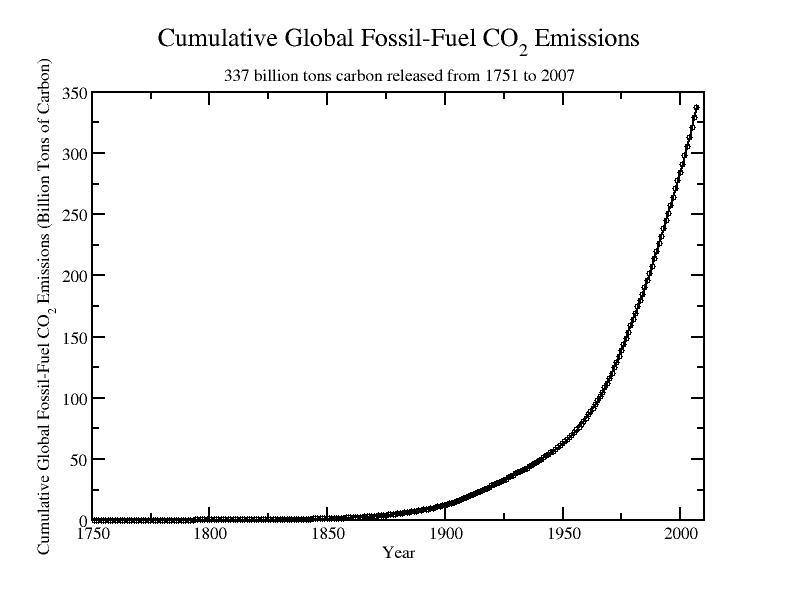 And all other things that were the rage as ‘Greenhouse gases’. The increase in Greenhouse gases is not killing us, I was told, and no one knows how the ozone levels were many centuries before. Our coordinator told me, the sun does not really heat the earth directly otherwise we would shrivel, the heat is taken in by the land’s surface and reflected upwards. Hence air terminals over cities and open land or forests are completely different. Cities create their own micro-climates, i.e.,.UHI. He also mentioned sea levels have gone up and down and nothing to worry about it. Land sinks too. Particularly atolls. I knew this years ago. We were flying over either Fiji or somewhere and the pilot said ‘That atoll won’t be around in another 20 years as it is sinking. Our co-ordinator also said sun spot activity creates our weather, as this usually is around when we have drought in parts of coastal Australia then. But the rain would come, and most probably we would experience floods. Rain in Australia is more prevalent around the coast due to evaporation from the sea. And fifty miles inland, it starts to decrease. Rain forests do exude moisture into the atmosphere, and when removed to turn into pasture, the cloud level goes up and less rain. So – how is it, high in our atmosphere it is freezing cold, (not space) and deserts like the Sahara without cloud, are hot during the day, and temps drop dramatically at night (sometimes minus C in their winter). Now if this is just a first year course, were does this leave men like Mann and Jones who are inventing their own physics and climatology. I took this course 11 years ago. Ridiculous. Jones and his cronies have painted themselves into a corner, their corruption of the data base is coming back to bite their bums. They are in so deep, there is only one possible course of action. Continue the Bluff.